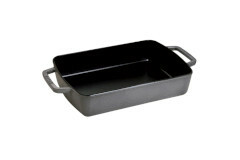 Staub roasting pans are great for roasting any thing from potatoes to chickens. 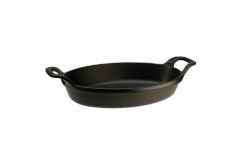 It cooks evenly and keeps the food moist. It is best to hand wash them, they will not chip, scratch or fade. They are safe for temperature up to 500 degrees.